As of 28 November, a 30-day martial law has gone into effect in 10 of Ukraine’s 27 regions after a naval incident three days earlier. It marked the first open military confrontation between Russia and Ukraine since Russia’s annexation of Crimea in 2014. The incident, on 25 November, transpired when Ukraine attempted to send three naval ships from its Black Sea port of Odessa through the Kerch Strait to its Mariupol port in the Sea of Azov. Russian coastguard ships subsequently rammed the Ukrainian tugboat and opened fire on two armoured artillery boats before seizing the vessels and their crew. Several Ukrainian servicemen were injured in the incident. 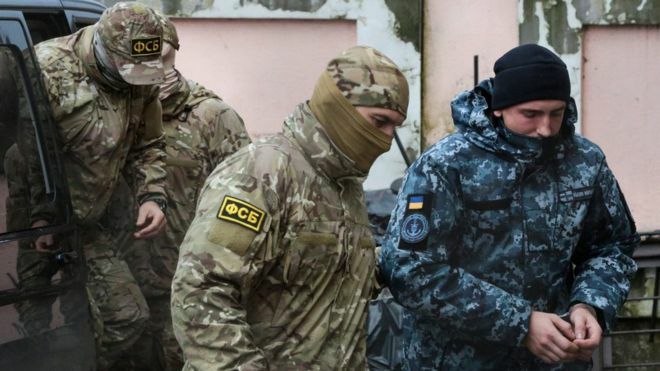 The martial law will be in effect from 28 November-27 December in five regions that border Russian territory, two that border Moldova's breakaway Trans-Dniester region, and three on the Black Sea / Sea of Azov coast. The capital Kiev is not in an affected region. Martial law allows authorities to impose curfews and restrict movements, call on eligible citizens for military duty, ban protests, rallies and other large gatherings, and regulate media, among other measures. While the exact measures that will be implemented remain unclear, President Petro Poroshenko stated that it would not suppress civil liberties in the country. The naval confrontation on 25 November came amid rising tensions in the area. Russia has increasingly sought to assert its control over the Kerch Strait and Sea of Azov since annexing Crimea in 2014. This is shown in its construction of a bridge between mainland Russia and Crimea over the Kerch Strait. Amid the incident on 25 November, this allowed Russia to block passage into the Sea of Azov by positioning a tanker under the bridge. Additionally, in recent months, Russia has increased its naval presence in the waters and has carried out inspections of ships heading through the strait. Ukraine, meanwhile, has complained that the increased inspections of cargo ships heading through the Kerch strait to its Azov ports were resulting in significant delays, impacting its economy. The increased tensions over control of the waters led to the incident on 25 November, in which Ukraine stated that it had made Russia aware of its plans to move ships to its port in Mariupol, but Russia claimed that Ukraine failed to obtain the correct permission to travel through the strait. This is despite a 2003 treaty designating the Kerch Strait and Sea of Azov as shared waters between Russia and Ukraine. Domestically, there were concerns that martial law would impact the upcoming presidential elections; however, as part of the agreement with parliament on the imposition of martial law, Poroshenko set the election date as 31 March 2019. The agreement also saw Poroshenko’s original plan to impose a nationwide 60-day martial law reduced both in length of time, to 30 days, and geographically, to 10 of the country’s 27 regions. While a broader escalation is seen as unlikely, Ukraine will likely utilise the incident to increase pressure on Russia. It has been widely condemned internationally, with world leaders calling for de-escalation and the release of Ukraine’s vessels and crew. Heightened security measures in affected regions, with the possibility of restrictions to movement and curfews. Increased potential for protests/demonstrations in the capital Kiev. Russian nationals likely to face increased scrutiny when entering the country and may be restricted from entering.